Indian e-commerce firm Flipkart has suffered its fifth markdown after a mutual fund managed by global financial services firm Morgan Stanley slashed the value of its stake in the company by 15.5%. The Morgan Stanley Institutional Fund Trust estimates each Flipkart share is worth $87.86 at the end of March 2016 compared with $103.97 three months earlier, according to the fund's filings to the US Securities and Exchange Commission. This is the second time that the Morgan Stanley fund has marked down Flipkart; it first did so in February when it cut the value by 27%. Three other investors in Flipkart have reduced the value of their stake in the Indian company over the past two months. American mutual fund T Rowe Price, in April, knocked down the holding value of its investment in Flipkart by 15.1%. Earlier this month, US mutual funds Fidelity Rutland Square Trust II and Valic Co. cut the value of their holdings in Flipkart by 40% and 29%, respectively. 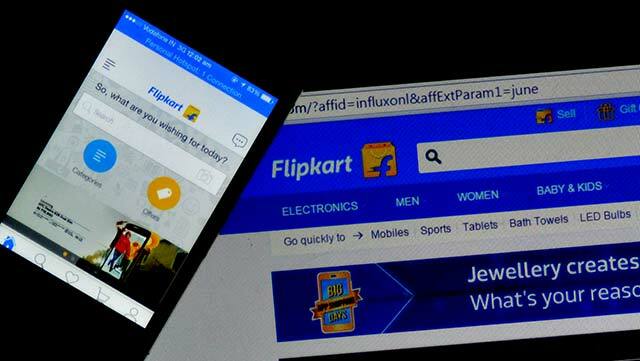 Morgan Stanley's latest markdown means Flipkart is valued around $9.4 billion. That compares with the $15.2 billion valuation that Flipkart acknowledged in September last year based on in its last funding round in mid-2015. Morgan Stanley, Fidelity and Valic first acquired Flipkart shares in 2013 during the company's Series D round. Morgan Stanley invested again in 2014 and Valic in March 2015. To be sure, the value of their investments has risen since they bought shares of Flipkart. T. Rowe Price initially invested in Flipkart in December 2014 as part of a private equity funding round where Flipkart raised $700 million from a host of investors including Steadview Capital and Qatar Investment Authority among others. It later invested more in March 2015.